Once the decision has been made to manage your Traffic Orders on ParkMap, you will want the system available as soon as possible. 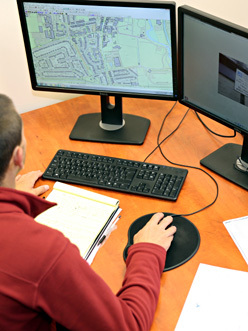 We can provide the time, resources and experience to get ParkMap implemented and into live operation quickly and efficiently. Working to our project timescale will help you plan your user training just ahead of going live. We will configure your ParkMap for all restrictions currently in operation throughout your area, making future Traffic Order management that much easier. Many authorities have made the move from traditional text description Traffic Order schedules to map-based schedules. We can help you to determine whether this move would be advantageous for your authority by explaining how the transition needs to be managed, the tasks involved and the benefits that can be derived from a map-based Traffic Order system. If you are interested in using ParkMap to manage your Traffic Orders, either for text or map-based schedules, or you wish to make a move from text to maps, please do not hesitate to contact us to discuss our implementation services and the benefits for you.